What makes Salmon Bay Wealth Management different from the competition? Treat clients the way they should be treated in a situation where you have the informational advantage. If you put up your shingle as a financial advisor you need to do everything that you can to advance the client forward and do what’s in their best interest. This means being professional and going the extra mile to do the little things that are sometimes hard to see and adds value over the long term. Setting realistic expectations and acting in your clients best interest as a fiduciary goes a long way in building trust and providing a high level of customer service that a fee-paying client deserves. Careful attention is paid to the placement of individual assets across different account types. Taxable, non-taxable, and tax-deferred accounts each have unique benefits and advantages when designing a client’s investment policy statement. Each client has a unique set of circumstance’s, time horizons, and risk tolerances that drive the asset placement decision. It is amazing to see the variety of discrepancies and inconsistencies in regards to how accounts are managed. Poor use of cash, scattered securities that don’t make sense in certain accounts, and poor asset placement from a taxable perspective when other alternatives exist all take away from the wealth accumulation process and compounding that naturally occurs over time. Salmon Bay Wealth Management takes the time to understand each client’s taxable situation and circumstances to determine the proper way to allocate assets across a clients account. Certain professional designations take a lot of work and time to achieve and the continuing education requirements to maintain them takes commitment. Continuing education and a focus on life long learning are critical in maintaining competency for a financial advisor. You should check out various professional designations and make sure you choose an advisor that is committed to the profession and the goal of lifetime learning. Having the ability to gather assets is one skill, managing them with a high degree of confidence is another. Having the proper technical training and commitment to enhancing your craft goes along way in ensuring that your advisor is in it for the long term. All financial service organizations (banks, insurance companies, mutual funds, investment banks, asset managers, financial advisors and salmon bay wealth management) provide financial services to clients. All of these organizations ultimately charge fees or have business models where revenues are generated by the fees that are paid by their customers and clients. Understanding this disintermediation process is important to anyone who is trying to build wealth over time. Salmon Bay Wealth Management looks to keep these disintermediation costs low and to build a strategy that allows client to participate in the capital markets in a cost effective manner allowing time and compounding to build wealth over time. Each individual has his or her own history, comfort areas, and experiences dealing with money and investments. No two individuals are alike in their risk tolerances, time horizons, and a whole host of other factors that are unique to each individual. Salmon Bay Wealth Management customizes investment solutions that are specific to each client and takes the time to understand and discover each persons uniqueness in structuring and building a clients financial plan. A focus on Educating the Client on the low-hanging Fruit - "The easy Stuff"
It’s amazing to see how many people who claim to be long-term investors squander away the simple opportunities that are made available to them each year. In practice this means maximizing 401K and other retirement contributions, taking advantage of employer matches to retirement accounts, creating a Roth IRA or back-door Roth for after tax savings accounts, taking advantage of your yearly tax loss harvesting opportunities that are available each year on your tax return, using tax sheltered 529 plans for educational endeavors, and taking advantage of low cost investments such as index funds and ETF’s to get exposure to certain asset classes. Educating clients and seizing the low hanging fruit goes along way in simplifying things and executing an individuals financial plan. 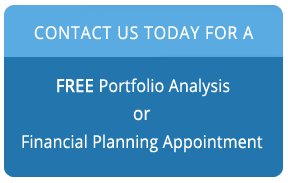 If your advisor or other key personnel and senior management are invested elsewhere what does that say about the product offering and the level of conviction that they have in providing you with the best level of financial planning advice. Salmon Bay Wealth Management invests along side our clients in the investment strategies that we recommend to our clients. As part of the financial planning process, Salmon Bay Wealth Management will work with you’re other key advisory personnel to build and maintain your financial plan. Salmon Bay Wealth Management works with tax professionals, attorneys, CPA’s, and other key advisors to make sure that we have you covered. As an advisor it is important to have the most up to date information available to help structure the best decisions. As part of the intake process it is ideal to review the last three years of a client’s tax return to better understand the client’s financial landscape and taxable situation. We look forward to using all of the resources available to help you reach the best outcome possible. Our business model is driven by the work that we do for our clients and being a fiduciary. Our advice, the solutions we provide, and the work we do is individualized, unbiased, and is driven by the clients best interest. All financial advisors are held to a certain level of conduct in their dealings with the public. There are different standards depending on who is providing the advice to the client and where that individual is licensed. Understanding the differences between these standards is paramount to understanding the decision-making that goes on behind the scenes that the client never sees. Someone who owes you a fiduciary duty must put your benefit ahead of his own; in practice that should mean minimizing fees, eliminating all avoidable conflicts of interest, and fully disclosing any other material conflicts. We provide an open architecture approach in sourcing investments and aren’t limited to a predefined set of investment choices that are owned or chosen by our employer. Not all investment advisors serve as fiduciaries, it is important for clients to understand the differences and know how this impacts them. The lower your costs and the better you are at managing the tax implications of investing, the greater your share of after tax returns and the better you will be at compounding capital into the future. Costs matter; expense ratios, advisory fees, 12B-1 fees, trading costs, and other hidden fees all take away from an investors returns. Salmon Bay Wealth Management considers costs to be one of the key components in managing and compounding wealth over the long term. We look for cost effective solutions when implementing and constructing client portfolios. Everyone likes good ideas, we like good ideas that are cost effective even better!! Most advisory firms’ and wealth management practices service their clients primarily with a sales person or client relationship manager whose primary focus is on sales and client retention. Salmon Bay Wealth Management wants your first point of contact to actually be a portfolio manager who is actually responsible for the planning and investment decisions that make their way into your portfolio. The further you get away from the person that is actually managing your portfolio the greater the potential for miscommunication and dilution of client goals. In the end it is the Portfolio Manager who is ultimately responsible for the investment decisions and how they complement and support the rest of your financial plan. Sometimes it makes sense to have more than one IPS statement for an individual or family to help facilitate decision-making. Specific goals with unique circumstances and time horizons sometimes deserve a dedicated plan to execute. An IPS statement is critical to implementing long-term goals. It helps set the framework and guardrails around the decision-making process and serves as the backbone for a well-crafted financial plan. It’s primary goal is to help you stay on track during periods of uncertainty and to cultivate an environment of patience in working towards long term goals that sometimes take decades and lifetimes. Most investment portfolios are designed to have a cash component or reserve component that can be drawn from in times of emergency or when their is a cash need. Managing cash in a low interest rate environment with competing liquidity needs is a difficult task. Salmon Bay Wealth Management looks to balance these two considerations when managing cash and focuses on finding solutions that are more creative than just using just traditional money market funds to balance liquidity and find returns. Each client’s situation is specific and managing cash is another way that advisors can offer value to help clients reach their short-term goals. In the end it is really after tax performance that matters most for individuals once all fees and taxes are taken into consideration. Our model portfolios, investment processes, and security selection is focused on maximizing after-tax returns. Each individual has a unique set of tax circumstances and we strive to implement our investment decisions to maximize after tax performance. Understanding a clients specific tax situation takes time and involves cooperation with a clients tax professionals. Ideally we like to review the last three years of a client’s tax return to try and get a comprehensive picture of a client’s financial landscape and taxable situation. Understanding taxes and implementing effective tax management strategies is important to the wealth compounding process. Having a financial professional who is available to answer questions and share ideas with is a fantastic resource to have available. Salmon Bay Wealth Management encourages clients to use us as a resource or sounding board for any business, lifestyle or interesting ideas that they might be thinking about. Whether it’s buying a car, shopping for insurance, refinancing a home loan, or thinking about a new business idea. We’re interested in hearing about it. Having a second set of eyes or having someone else in your corner that wants to make sure you are making the best possible choice goes along way in providing financial security and balance.